Christmas time is ahead of us and one thing is for certain – it will be busy! 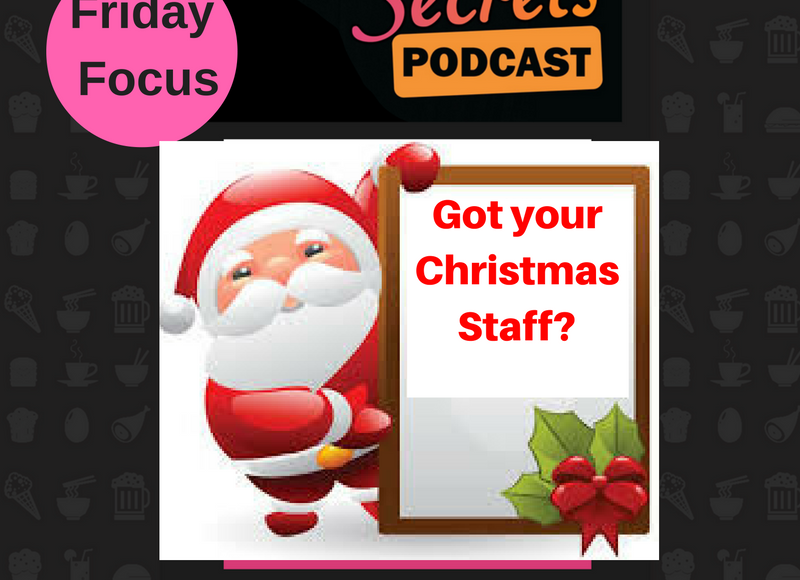 Now is the time to stop and think have you got enough staff for Christmas? If you answered YES – you need to advertise for staff now and if you answered NO then you definitely have to advertise for staff now. One thing I know for certain is that you can never have enough people over the busy Christmas period because your existing staff will want time off to go to their Christmas parties and family holidays. It is also a great time to get your new younger staff whilst they are on holiday from school. People are keen to work and fill in those long summer holidays and you definitely need to have new staff for 2017 because your existing school age staff are graduating and moving away to study so grab your young schoolies now to get the cream of the crop. When I became a franchisee I came from an accounting background. The only type of interviews I knew were the formal type. You know dressed in a suit holding a folder with a very formal looking resum’e and a host of references stating your experience. You sit there sweating and nervous while the man in the suit interviews you and somehow you get the feeling he is really enjoying the whole situation of being in power before you. And that probably works well for a formal accounting practice, but now that I was interviewing staff did I want to replicate this process? always meet the new potential employee at the store where they can watch what you do. They need to have an idea of what their position will be. always interview close to the store, explain the product process and what is required of employees. Keep the interview short no more than 5 – 10 minutes. For me an interview was a conversation really. If the potential employee can’t engage you in the first minute or so how are they going to engage customers at the register where they really only have 30 seconds to process a sale. “Who is your favourite teacher at school and why?” This question is so unexpected that they relax immediately to stop and think and wallah! You see the real person come through. I got to hear some of the most inspirational stories, I only wish I had recorded some to play back to the teacher involved it would have made their day. By the way, this question works for all ages and the answer is not always a school teacher. What’s your favourite thing on the menu? If they are a raving fan of your product then they are an enthusiastic seller and keen to come to work each day. The answer to this questions indicates whether they are a fit with your brand. What’s your forte? What is it you do better than anyone else? Again you get to see the real person, but more importantly you get an insight into their skill set. Now for an extra tip, given to me by an experienced interviewer with a great team (this one is secret for the use of employers only) Accidentally drop your pen, if the person reaches down to pick it up then there is your worker right there. A little test to see if the person is a team worker and goes out of their way to help. Clever hey? Trust your gut and trust your instincts. You are a clever person and you know your brand and your team better than anyone. Everytime you meet someone you get an instant feeling, trust it, its rarely wrong. I have probably thrown out every traditional interviewing rule out there, but at the end of the day you need a team of people around you, people who you can work with. You are going to spend a lot of time with your employees make sure you employ someone who you find interesting and engaging. Look for your weaknesses and employ people who show your weakness as a strength. An effective team is made up of many personality types. If you thought interviewing was hard, choosing the right employee was one thing but how to offer them the job was quite another so I created a “welcome package”. In this welcome package is everything that a new employee needs and wants. Some things may have been provided by the Franchisor but other things are store specific and only you can provide these details. So to help you along, here are the eight things to put in a “welcome package”. Now have a quick check and see if you have enough leaders in your team to lead shifts. Also remember you may have some schoolies who are now on holiday and availble 24/7; are any of these employees ready to step up into leadership. If so, train them and tell them what you want from them over the Christmas Period. Three tricks to having your store run like a breeze over Christmas. Weekly Leadership meeting – communicate with your leadership team weekly. Let them know what the targets and KPI’s (Key Performance Indicators) are for the coming week. Update them on any supplier issues or new campaigns that are running. 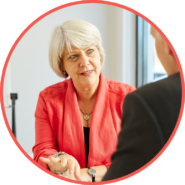 Highlight any customer complaints or training shortfalls that you see. Problems shared can be addressed and acted on. Trust your team you might just be surprised at what happens. There is no better feeling than being able to walk out of your store knowing that it will be run to your standards. Just the way you like it. That’s peace of mind and the sign of a high performance franchisee. One thing is a given over holidays employees will want time off. 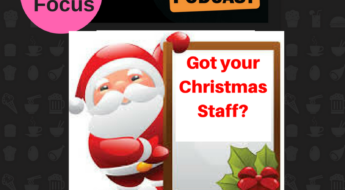 Stop right now and send out an email to your staff and ask them for their Christmas availability. Get them to write it down and let you know. Once you have all their availability – go to the store diary and write them down as unavailable. I know it is a simple task but that is the best time to see when you have a lot of people away and where you may have rostering problems. Now my advice for having everyone turn up on time for their shift is to prepare your rosters now – well for at least the two weeks over Christmas and distribute them. Cost them out and name your sales targets for each and every day over this Christmas period. As franchisees, you go to a lot of trouble to prepare your budgets and identify the key performance indicators (KPI’s) that you will need to meet to make the profit you desire. The problem is though, once you have identified these KPI’s how do you ensure that you meet them? Well that’s easy you share the burden. You share your KPI’s with your team and you make them accountable to meet them by way of an in-store KPI dashboard I spoke about before. So how do you communicate the required KPI’s? It’s easy, in the roster. By costing your roster you are starting your team on a journey to success. It is as easy as entering the co-ordinates into a GPS. 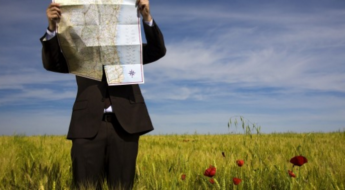 If you compare your roster to a GPS then you must first set the destination – this is your required sales target for the day. Next you have to set the route that you are taking and that route is by meeting these KPI’s – labour cost, average hourly rate and sales per labour hour. Sounds hard, but really it’s not, just enter formulas into an excel spreadsheet and you are on your way. To identify the required KPI’s, allocate the shifts in the roster, cost them out to a dollar figure, divide that into your sales to give you a labour percentage. Next divide the number of labour hours used in that day into the sales to get your sales per labour hour. And finally divide the number of labour hours in the labour cost to give you the average hourly rate. Even easier still download my labour calculator template and the hard work is done for you. Once the roster is prepared, oops route defined, then it is over to your team to follow the GPS. As the team trades during the day KPI’s can be constantly monitored. If your franchise has a great point of sale system these KPI’s can be identified as you trade, if you do not have this capability, then it is just a matter of training your team leaders how to use your excel spreadsheet. At the end of the day, when you have “reached your destination” it is a simple matter of having your team record the actual KPI’s on a dashboard which makes them accountable. Kind of like completing the log book in your company car. Being a franchisee is a journey, it seems you are learning all the way, take to prepare your team for Christmas and you will enjoy not only record sales but the ability to take some time off to celebrate this silly season.